Competitive teams will be assembled through showcases/try-outs, private workouts, and also recommendations. Teams will participate in various tournaments throughout the summer season. All activities will be scheduled accordingly with a thorough roster selection process by our staff. At Baseline, we will always place our players and teams in the best situation for success. Players that participate in our Summer Ball program will benefit from the Scholarship & College Tuition Reimbursement Program we are affiliated with! 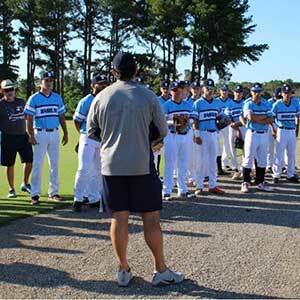 Our instructors and coaches are some of the best in the business with specialties in pitching, hitting, infield, outfield, catching and base running. We will tailor our training routine to fit your specific needs. Individual, group, and even team training sessions can be implemented. Tournaments are offered throughout the year for a variety of age groups. 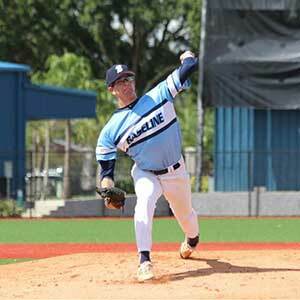 Games are mostly played at St. Thomas University at their state of the art Baseball facility. Other top notch High School fields and facilities may be utilized due to the amount of teams per event. 3-4 games guaranteed and all tournaments are wood bat. Professional tournament staff directed by Head STU Coach Jorge Perez accommodating all teams. 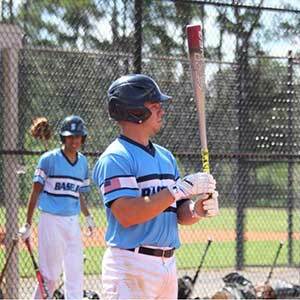 Baseline conducts several tryouts throughout the year and chooses 30-40 players to showcase their talents to 20-24 college coaches of all levels. 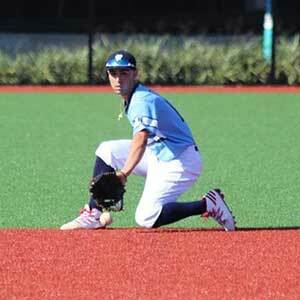 Included on this team is scholarship money towards college, a college platform which includes a complete profile of players academic and athletic achievements, a possible highlight video, and a highly structured program that will give each player multiple opportunities to showcase their baseball abilities.